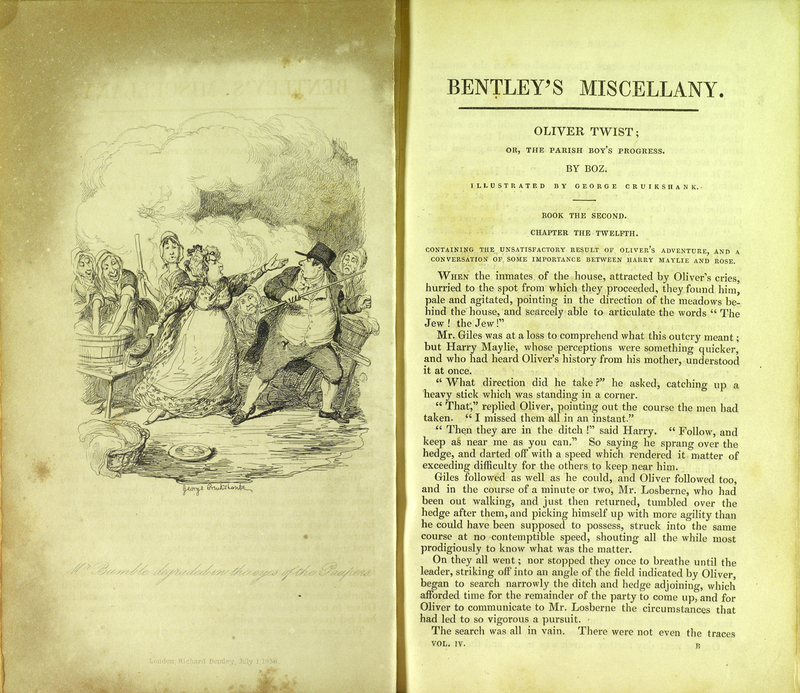 Published between 1836 and 1868, Bentley’s Miscellany was first edited by Charles Dickens. 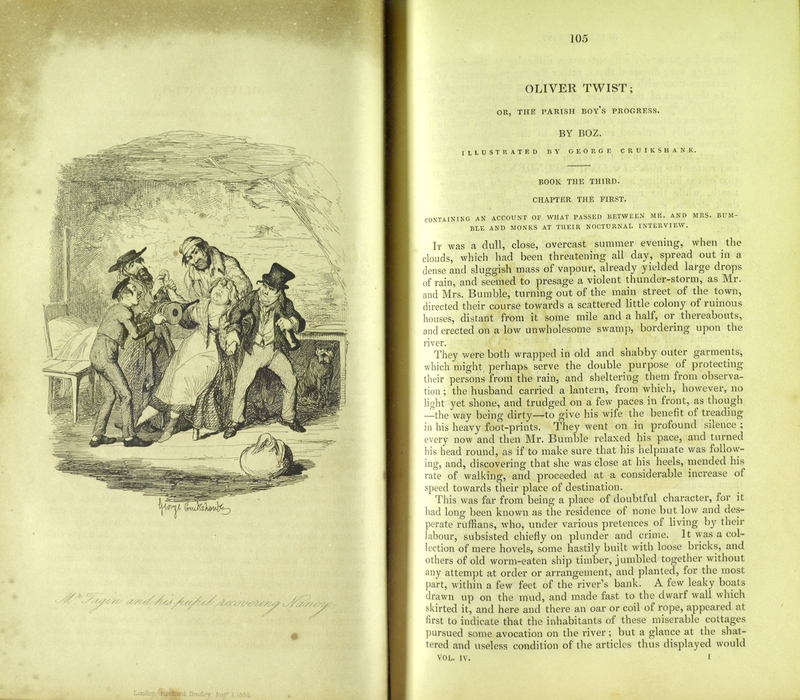 It was in Bentley’s that Dickens first published his second novel, Oliver Twist, in serial form. Many prominent authors of the time, including Wilkie Collins and Edgar Allan Poe, were published in this journal. Charles Dickens. 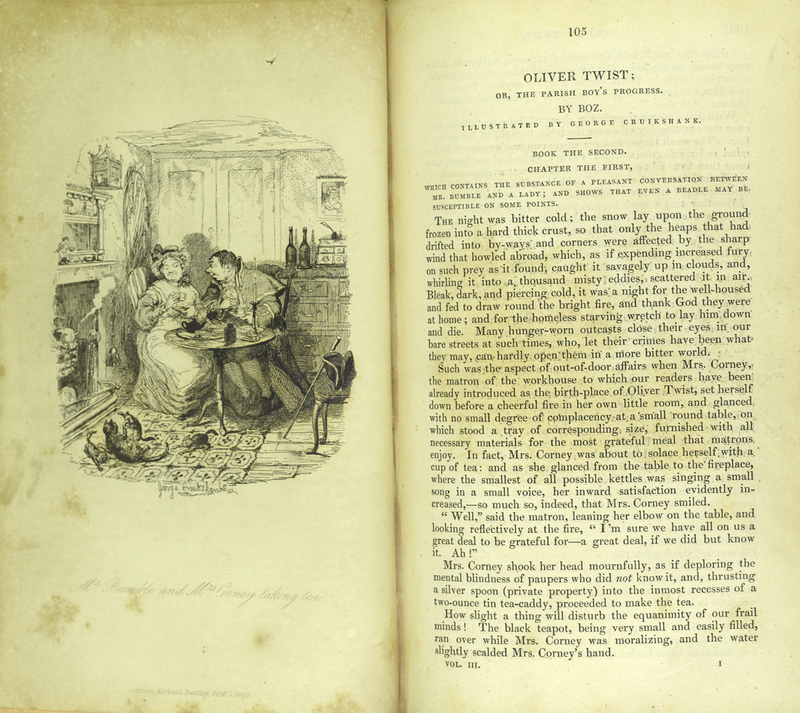 "Oliver Twist: Or, the Parish Boy's Progress." Bentley's Miscellany Volume 1 (1837): 327. Charles Dickens. 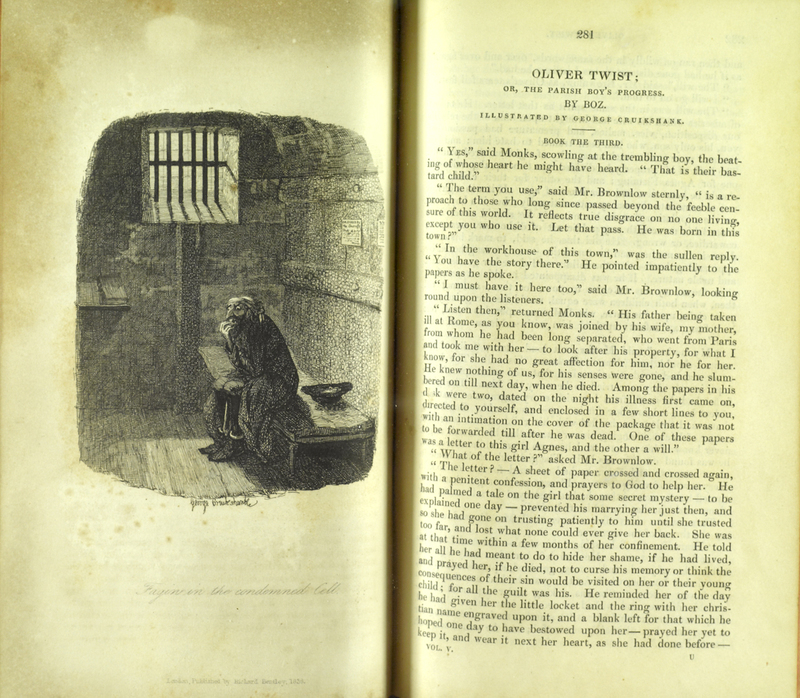 "Oliver Twist: Or, the Parish Boy's Progress." 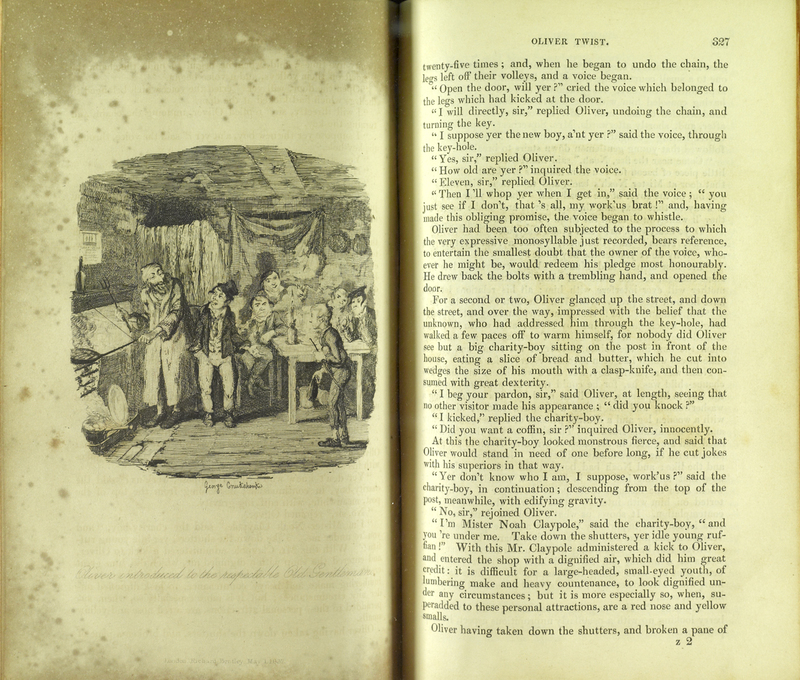 Bentley's Miscellany Volume 2 (1837): 215. Charles Dickens. 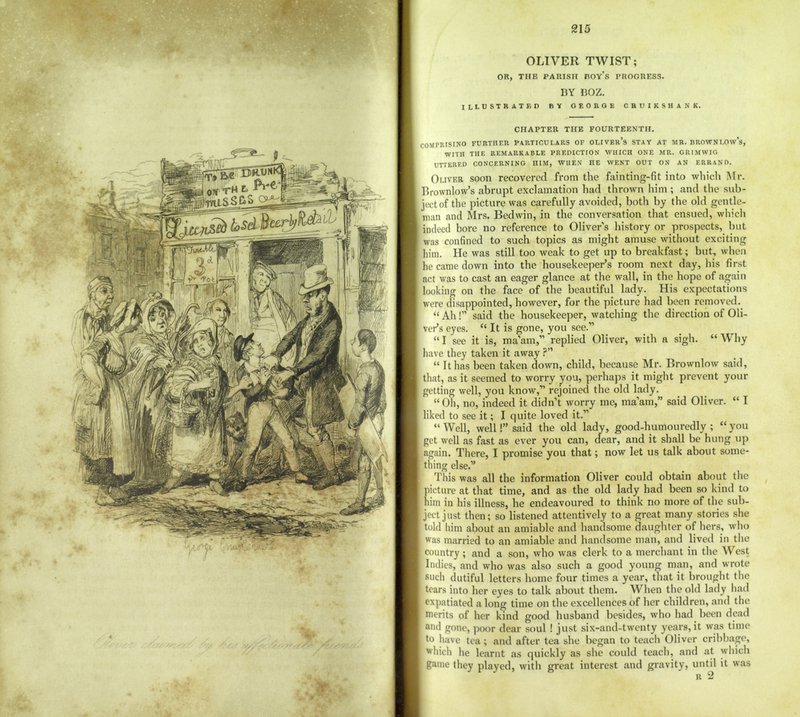 "Oliver Twist: Or, The Parish Boy's Progress." Bentley's Miscellany Volume 3. January (1838): 1. Charles Dickens. "Oliver Twist: Or, The Parish Boy's Progress." 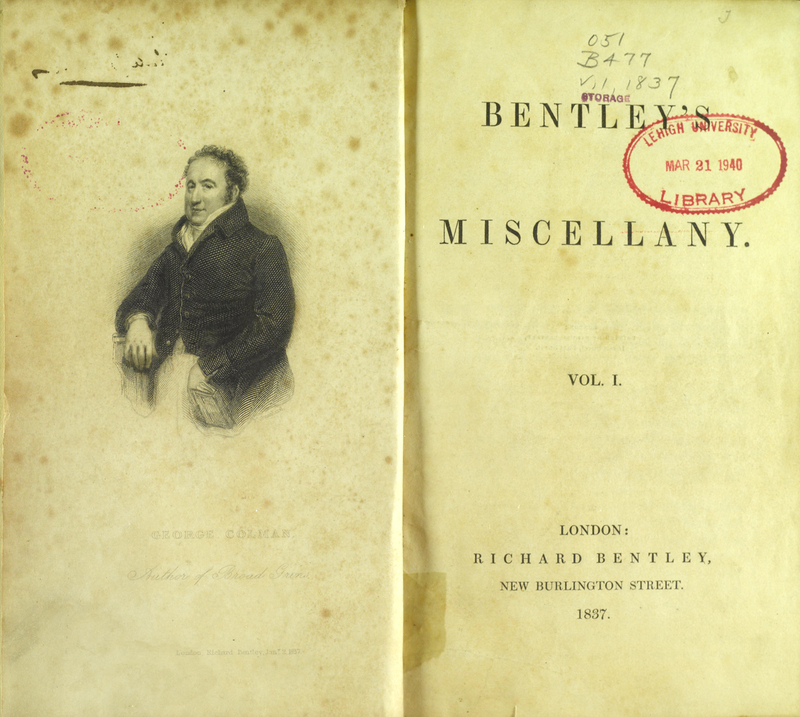 Bentley's Miscellany Volume 3. February (1838): 105. Charles Dickens. "Oliver Twist: Or, the Parish Boy's Progress." Bentley's Miscellany Volume 4 (1838): 105. Charles Dickens. "Oliver Twist: Or, the Parish Boy's Progress." Bentley's Miscellany Volume 5 (1838): 281.